Disclaimer: I was given free samples and vouchers in exchange for my review. All opinions are my own. Who here loves Shark Tank? I know I do and our family watches regularly. 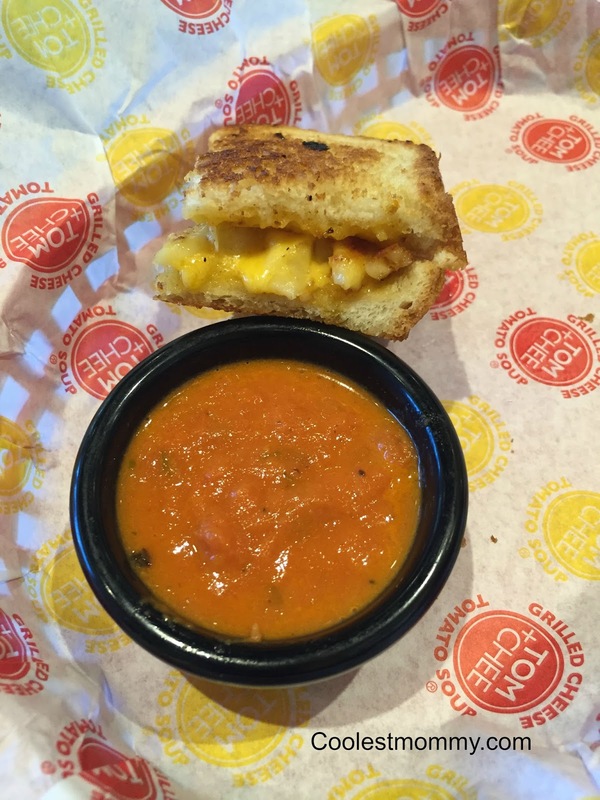 So we were extra-excited when Tom+Chee (as seen on Shark Tank) opened a franchise in Omaha. Hubby and I couldn't wait to try it out and LOVED the food. But, I'll admit, as summer came along, we sort of dwindled on our visits because I think of the food as 'winter only'. 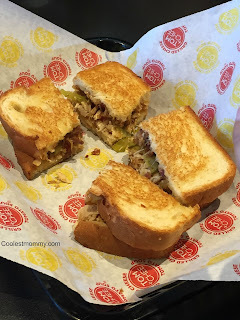 After being invited to blog about Tom+Chee and attending the blogger tasting, I've learned how wrong I am! You can't believe how much summer fare is on the menu. A few important things to note that really impressed me. There is no microwave, no freezer, and no fryer. Everything is made fresh. KIDS NIGHT - Kids eat for 99 cents on Tuesday's after 4:00 p.m. 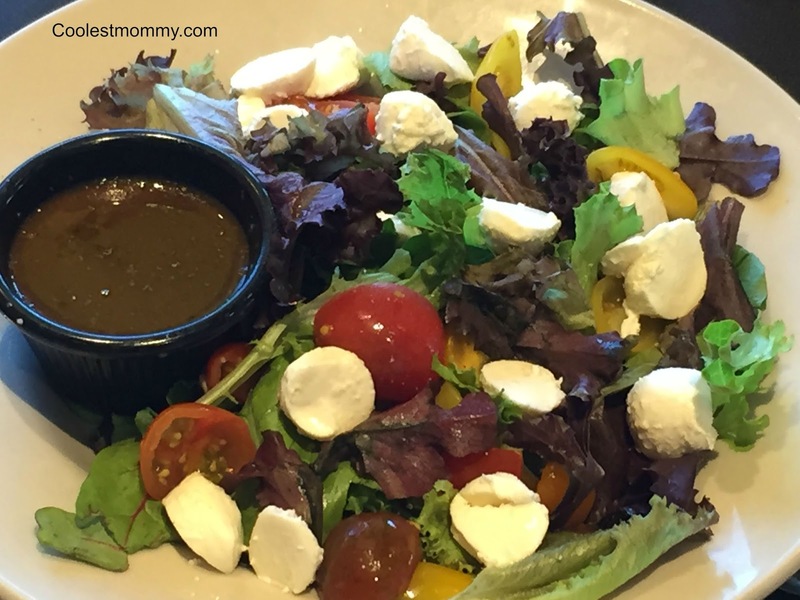 They have gluten free options, vegetarian choices and vegan options including vegan cheese. The pesto is nut-free. It's made from sunflower seeds so people with nut allergies can still enjoy. 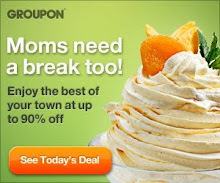 While I did eat main menu items, let's skip to dessert first. Have you tried the Strawberry Lemonade Donut? You will NOT regret it. The lemons are candied in house and the strawberries are fresh. The whipped cream is not fake and the combo with the grilled cheese donut is over the top. It is sweet enough to hit the spot, but is light and so flavorful that summer is the perfect time to experience it. And I should not forget the donut that started it all, the Grilled Cheese Donut. 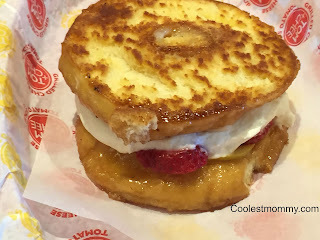 I must admit that after trying the Strawberry Lemonade Donut, I wasn't sure I'd like the plain Grilled Cheese Donut. Let me tell you, the taste was out of this world. Yum, Yum, Yum!!! For the sandwiches, we tried quite a few. The most popular is the Flying Pig which is roasted turkey, bacon, pickles, gouda on sourdough. Liked it a lot (and I normally pick pickles off everything). The pickles really rounded out the flavor explosion of this sandwich. 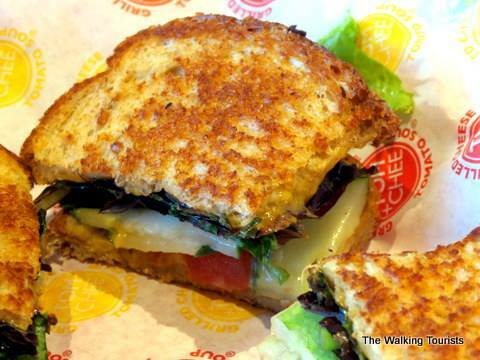 After trying all of these other sandwiches, we got to try out the Hippie Chee. It's a vegetarian option that can be made vegan if they use the vegan cheese (yes, they have vegan cheese). I didn't think I'd like it--not a big veggie fan. Knocked my socks off and this may be my new favorite sandwich. Since I was so busy eating it, I forgot to take a photo. Thanks to Lisa, from The Walking Tourists who allowed me to use her photo. Then came out the salads. And I'm saying, "You have salads?" 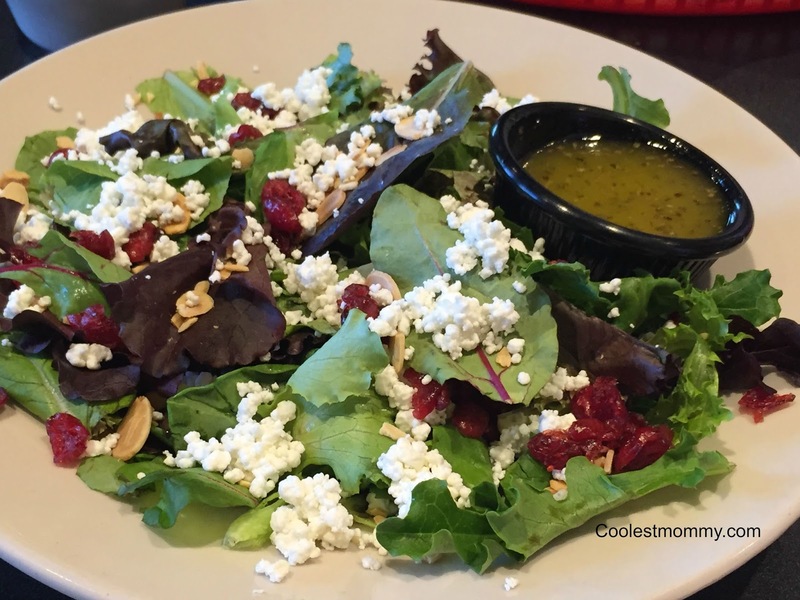 These salads are HUGE! I don't think you can get a sense of how big those platters were. And the dressings were really delicious. I may or may not have dipped one of my sandwiches in the dressing left at the bottom of my sample bowl to make sure I soaked up every, single drop. Overall, I had a wonderful time getting to know the menu even better at Tom+Chee on West Maple in Omaha. I've always gotten the same items every time I have visited and it was so much fun to try things that might be out of my 'normal' choices. I found out some of my favorites really aren't my favorite. 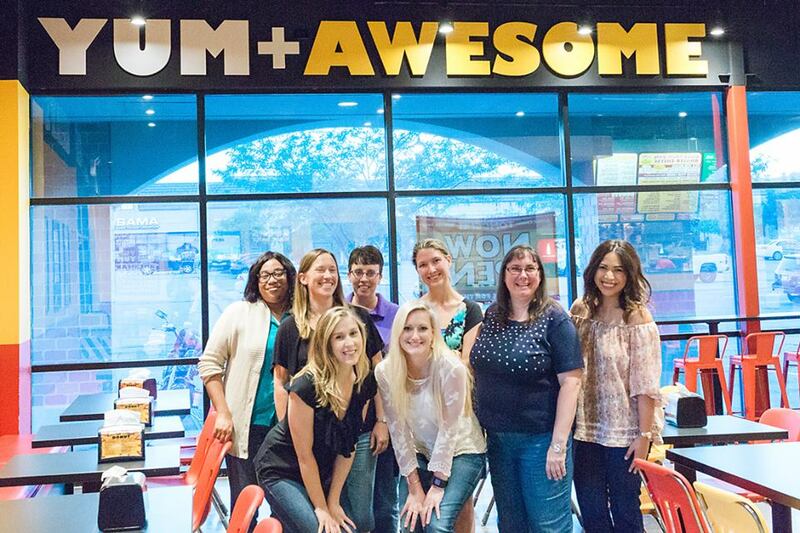 I'm so glad I got the opportunity to try the various items. I'm so happy to have a 'year round' dining place since I now know that there is so many summer offerings. 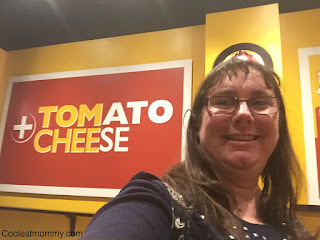 I hope you'll enter my giveaway below and I have also listed the other bloggers in Omaha doing a Tom+Chee giveaway on their blogs. Please enter using the Giveaway Tools form below. And be sure to check out the additional giveaay links at the bottom of the post. Must be able to travel to Omaha, NE in order to redeem. Two winners will be chosen randomly from all entrants. Only one winner per household/address. Thanks to my fellow Omaha Blogger friends who are also doing Tom+Chee Omaha giveways on their blogs. Be sure to hop over and enter! I would love to try the bacon and bleu sandwich! Deeeee-lish! Thanks for the giveaway. I would skip the sandwiches and go straight for the donuts! They look so great. I'd like to try the Pesto Turkey. It sounds so goooood! I would love to try the Hippie Chee. Looks delicious! Everything looks to die for!! 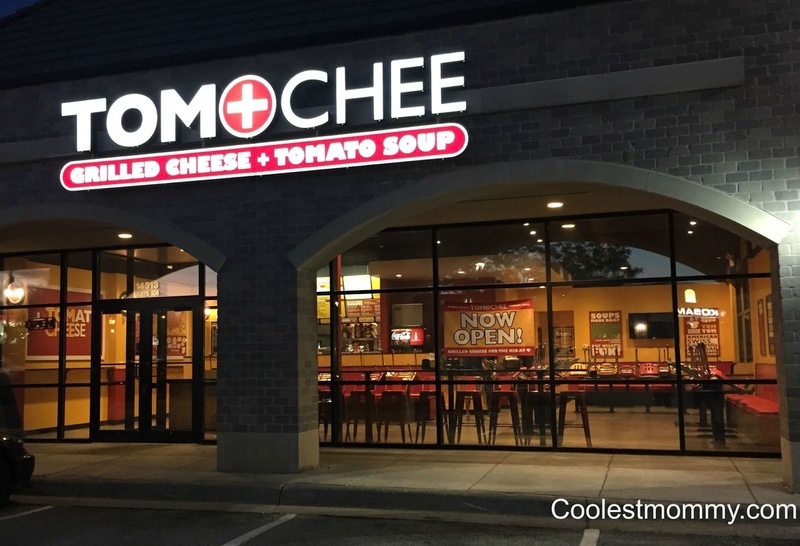 The Tom + Chee looks so good!! 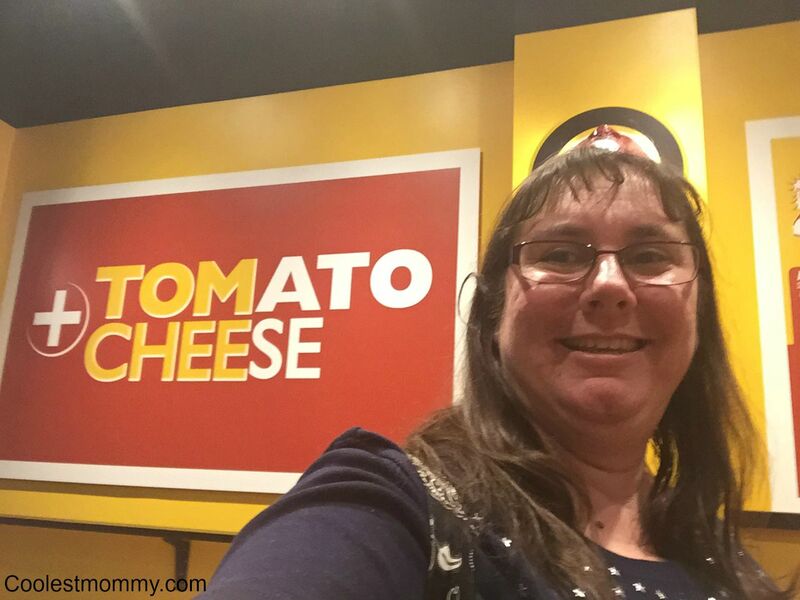 Jill S.
I would live to try a sandwhich or a salad! I've been wanting to try the BLT + Chee, but now that you've shown pictures of the salads, I think I want the Caprese Salad too!! So many great choices! The smores donut looks good. 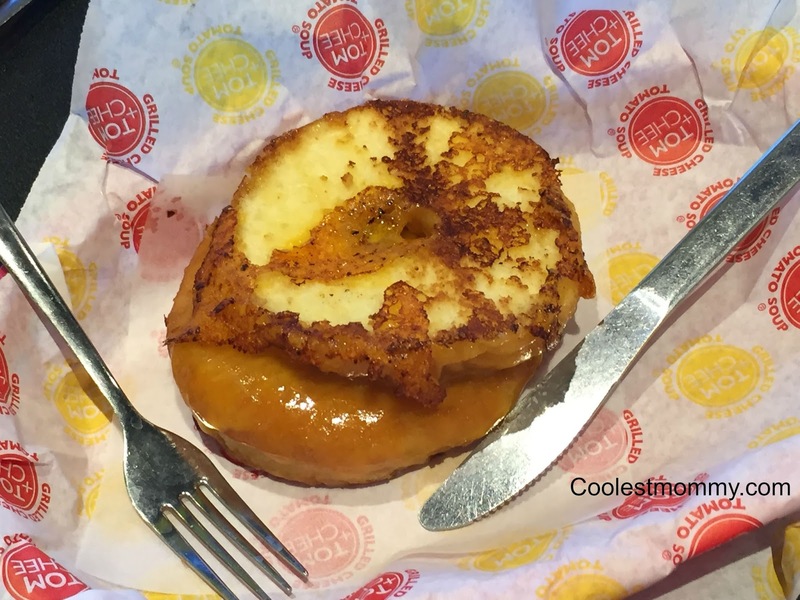 Grilled cheese donuts??? I must try! Blueberry blue?